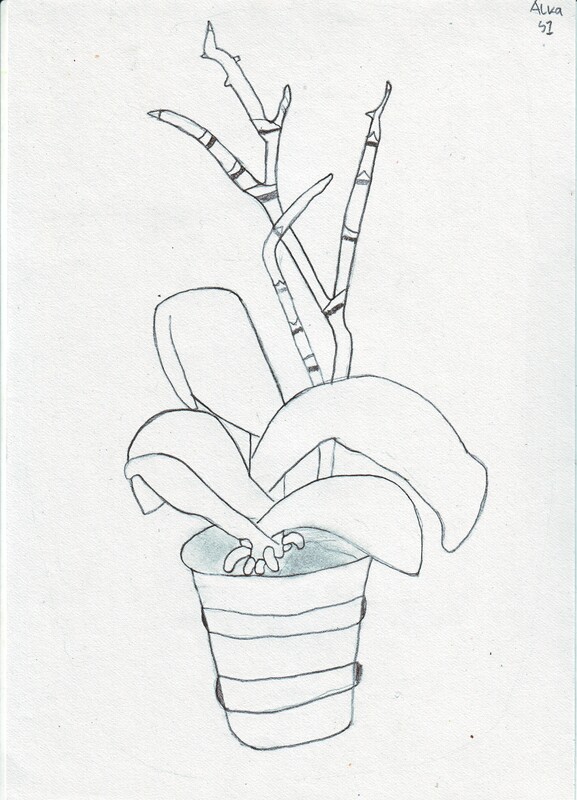 This term, Secondary 1 learn about Still Life Drawing. Showed them some links on youtube on drawing still life so they can learn from the experts. For several weeks, they practice drawing many objects. 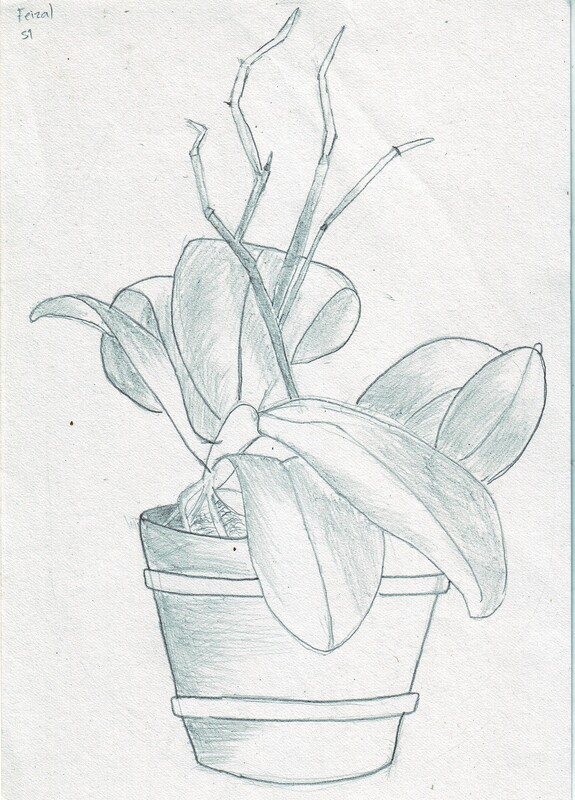 The final assignment is drawing an Orchid plant. No flowers there, so it is actually easier for them to draw. By the way, there are 2 promising buds come out of the plant. 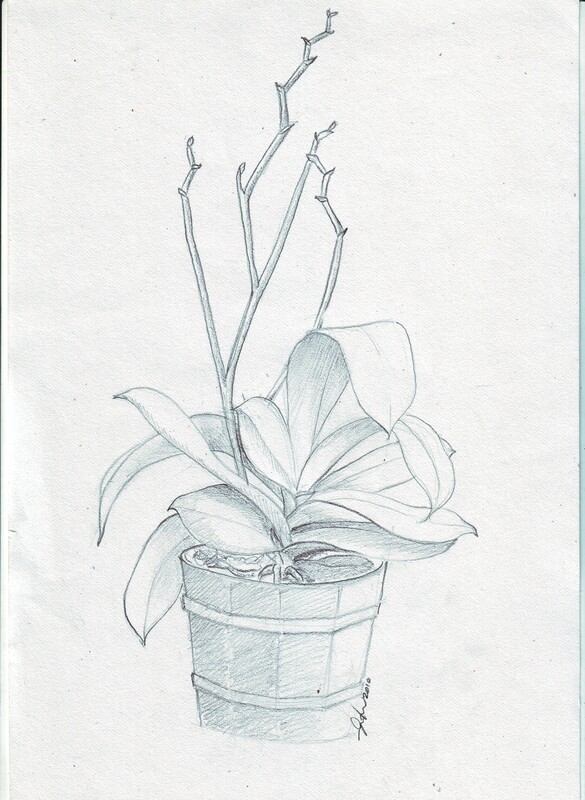 This entry was posted in student's works and tagged artwork, drawing, Secondary, still-life. Bookmark the permalink.